Rockefeller Group has landed another large office tenant at 1271 Avenue of the Americas, bringing the overhauled building to 70 percent occupied. Bessemer Trust, a wealth management fund, has leased 239,000 s/f at the former Time & Life Building, securing its top seven floors, according to a press release. Cushman & Wakefield Executive Vice Chairman John Cefaly led the leasing team that represented Bessemer Trust. Rockefeller was represented by an in-house team led by Ed Guiltinan along with CBRE’s Mary Ann Tighe, Howard Fiddle, John Maher, Dave Caperna, Evan Haskell and Sarah Pontius. A Cushman & Wakefield financial-consulting team led by Peyton Horn also assisted Bessemer. Terms of the lease were not disclosed. Rockefeller Group launched a $600 million repositioning program at 1271 Avenue of the Americas in 2016 to modernize the nearly-60-year-old tower with a 450,000 s/f glass curtain wall, a restored lobby, new elevators, entrances, plazas and building systems. Expected to be complete by the end of next year, the overhaul has drawn several big-name tenants to the 48-story skyscraper, including Major League Baseball, Mizuho Americas, Latham & Watkins and Blank Rome. Rockefeller Group President and CEO Daniel Moore said he’s glad to add the long-running wealth management firm to the building’s roster. 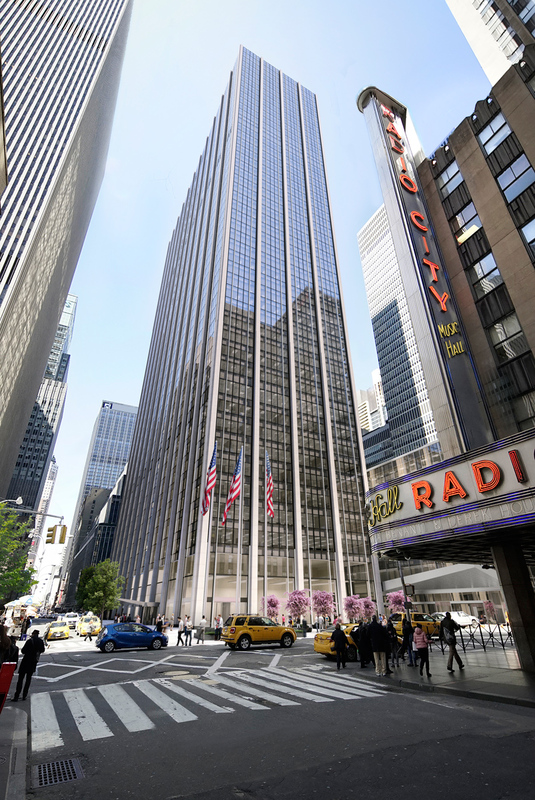 The trust plans to move into the 1271 Avenue of the Americas in 2021, leaving behind its current headquarters at 630 Fifth Avenue. Marc Stern, Chief Executive Officer at Bessemer Trust, said he’s excited to begin the next chapter of his century-old firm’s book at such an iconic location.